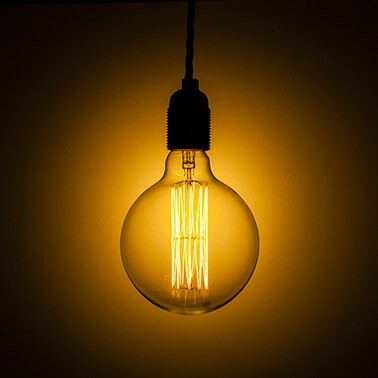 This 60W large vintage Edison style globe with squirrel cage filaments produce an attractive warm glowing light perfect for creating visually interesting ambient lighting. Decorative filament lamps like this big globe are ideal for use in large downward facing open fittings where the warm glowing filaments are visible. At 120mm in diameter this is a large globe so make sure the fitting is suitable. We recommend using a classic pendant fitting without a shade to show off the bulbs true beauty. The bulbs are also fully dimmable so you can dim them down and look directly at the filament without feeling blinded! This version has a standard screw cap fitting (E27).